One thing home solar startup SunRun doesn’t seem to have a problem with is getting access to lots of capital. The three year old company has now raised $85 million in venture capital – including a new $55 million round led by Sequoia Capital. Previous investors Accel Partners and Foundation Capital also participated in the round. But that’s not all. The company also has $90 million from US Bancorp and $100 million from PG&E to finance home solar installations. 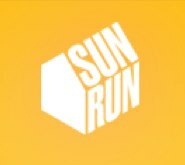 At its core SunRun is a finance company. They offer attractive solutions to home owners to add solar panels to their roof, or in their yard. Customers can choose to pay up a single up front fee for the systems – which average around $25,000 – or pay nothing up front and make monthly payments over the decades-long useful life of the system. Either way customers are likely to save money versus their normal grid electricity largely thanks to federal tax credits and state and local incentives to go solar. Most states allow solar users to sell excess electricity back to the grid, decreasing costs further. During the day you sell your electricity back to the utility, and in the evening you take some of that electricity back. That also reduces the need for costly batteries to store energy as its produced. SunRun is one of the leading companies in home solar with around 17% market share. They have 5,000 customers in California, Colorado, Arizona, Massachusetts and New Jersey. They’ll eventually launch in other states as energy prices increase and/or state and local incentives become more widely available.